Excellent quality and nice selection of schemes. A good basis to model a diverse but related collection of models - Recommended. 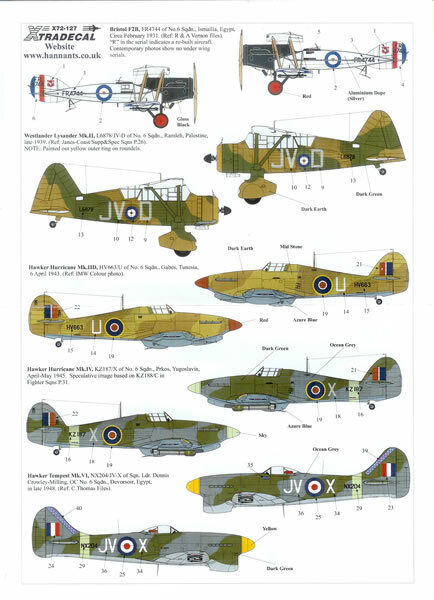 Modelling air force units through their history can be a great way to have a cohesive collection of very different aircraft types covering an extended period of aviation history. 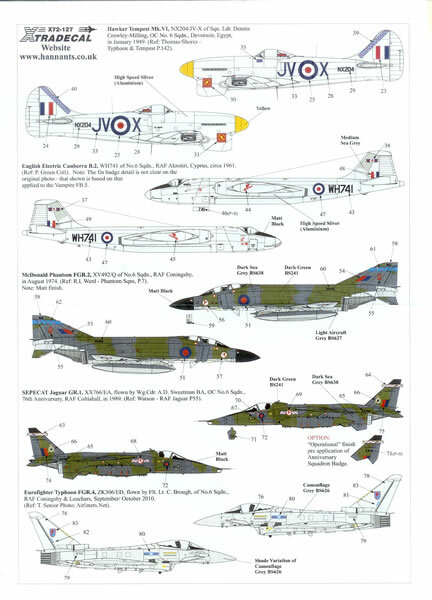 Xtradecal has obviously recognised this with their series of RAF squadron histories, the latest of which covers No 6 Sqn. And spread across these aircraft are silver, grey/green, sand/stone and overall grey camouflage options. The set has been produced with the assistance of the 6 Sqn Association who provided previously unseen details and photos to assist with the development of this set. The decals are supplied in Xtradecal’s usual A5 window envelope. They look to be superbly printed and with excellent colour density. The instructions are clearly printed in colour on four A4 pages, and not surprisingly are cross-referenced to the Xtracolour and Xtracrylix paint ranges. 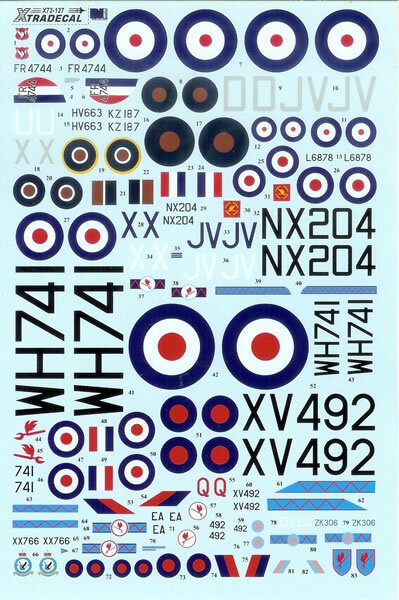 These look to be top quality decals that provide the basis for an interesting and diverse collection of models to a common theme - Definitely recommended.